Over 200 pages of native bee articles, photos and videos! Proudly supporting Australian Native Bees since 1997. What's New on Aussie Bee Website? Looking for native bees for sale? See our list of hive sellers. 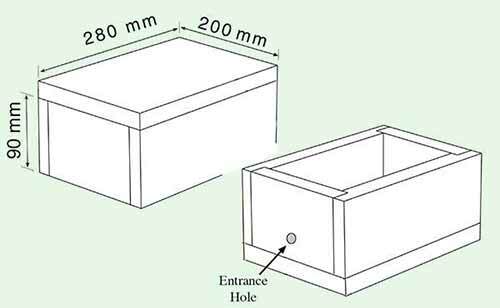 Need help with your stingless bees? Like to identify a bee you've seen? Galleries of photos & videos. Subscribe to our FREE email updates to learn about new articles, workshops and other native bee news. Complete our Website Survey and receive a FREE ebook on native bees! Keep up-to-date with our FREE email newsletter! Aussie Bee Email Update is sent out two or three times per year. seminars and workshops that are coming up. Read the most recent issue of Aussie Bee Email Update. We respect your privacy and you can cancel your subscription at any time. 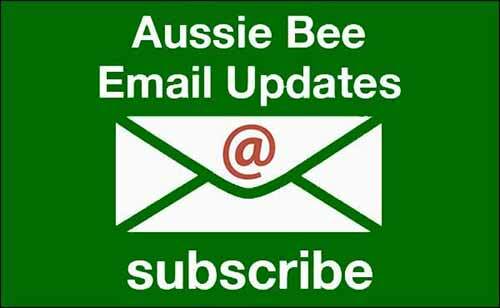 Subscribe to Aussie Bee Email Updates Here! Just type your email address in the box below and click on the Subscribe button. Subscribe today and receive a 'thank you' gift: a FREE Photo Gallery Ebook showcasing the beauty of our Australian native bees! Note: You can unsubscribe at any time by clicking on the unsubscribe link given in every issue of Aussie Bee Email Update. 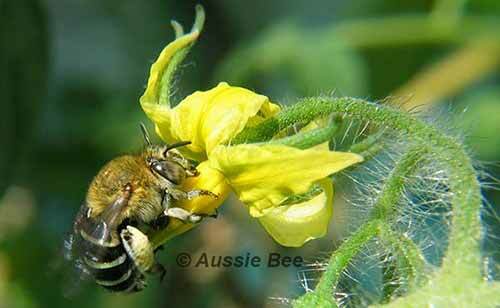 Australia has around 1,700 species of native bees, with more species being discovered each year. Our largest species is a Great Carpenter Bee, up to 24 mm long. Our smallest species is a minute Quasihesma bee, less than 2 mm long. They can be furry or shiny, and they come in a startling range of colours: black, red, green, yellow... even with blue polka dots! We have eleven species of social stingless bees which live in large nests inside hollow trees. 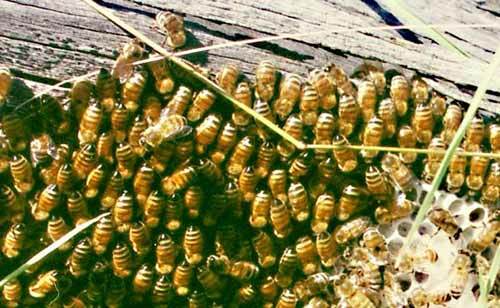 These nests have a queen, workers and males, similar to the European honeybees. 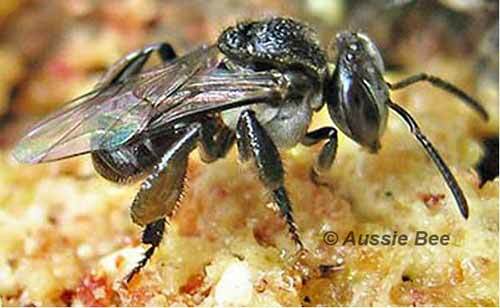 However, our stingless bees are tiny and black, just 3 to 4 mm long. 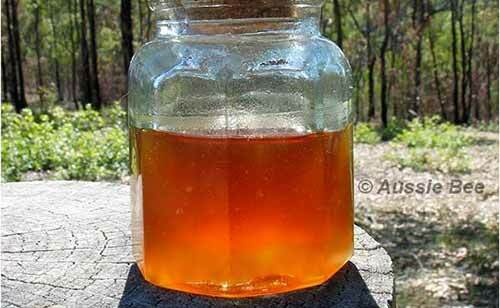 They can be kept in small wooden hive boxes and they make a delicious tangy honey called Sugarbag. 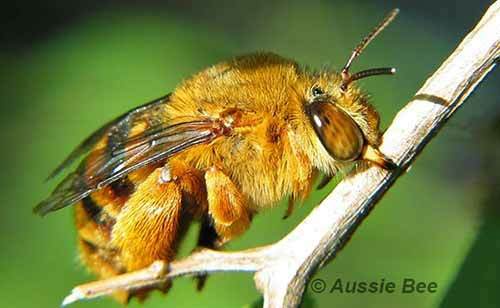 The vast majority of Australia's native bees, though, are solitary species that build small individual nests. Solitary native bees can sting but they are not aggressive. Some dig burrows for their nests in the ground whilst others use narrow holes in timber or pithy stems. Our solitary bee species include blue banded bees, teddy bear bees, leafcutters, resin bees, cuckoo bees and masked bees. 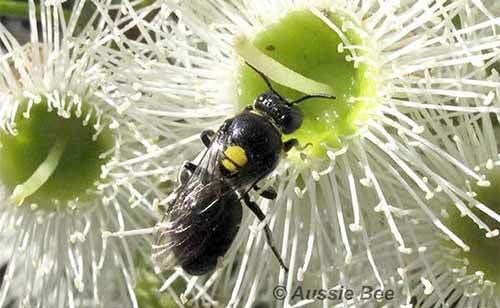 Native bees are important pollinators of Australia's wildflowers. They also make an important contribution to Australian agriculture, through crop pollination. Populations of native bees can be threatened by landclearing and pesticide use. 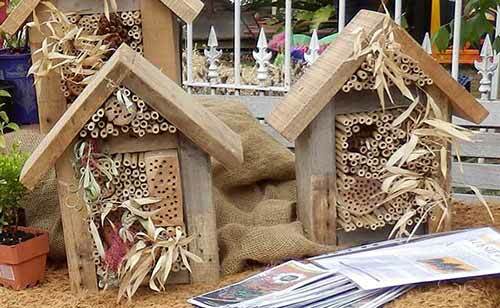 However, you can support them by planting bee-friendly gardens and setting up bee hotels. 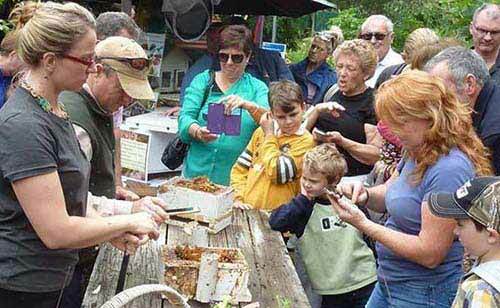 Promoting the Preservation and Enjoyment of Australian Native Bees. 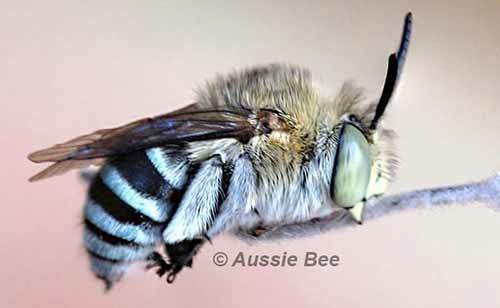 Aussie Bee Website was established in 1997 by Anne and Les Dollin of the Australian Native Bee Research Centre to showcase Australia's 1,700 spectacular species of native bees. 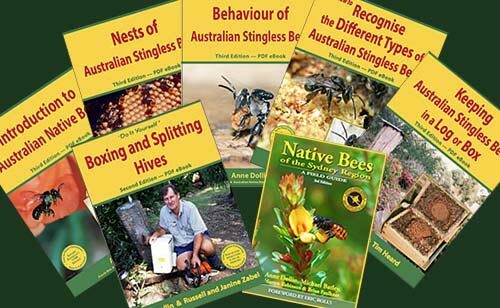 Explore the fascinating stingless bees, discover our dazzling array of solitary bees and browse our extensive range of articles, photos and videos on Australia's native bees. Anne and Les Dollin have been researching Australian native bees for nearly 40 years, with a special interest in our stingless bees. In ten major safaris to the most remote parts of Australia, they studied the nests and behaviour of all our stingless bee species. They have published major scientific papers, sorting out the species names of our Tetragonula and Austroplebeia species. To help spread the word, Anne and Les have also published booklets, magazines and a field guide on native bees. They also present news, photographs, videos and stories from the world of native bees on their Aussie Bee Website Facebook page. Find Aussie Bee on Facebook!